Does 80's Fantasy Adventure get any better than this? I doubt it. As I sit down to write this, I'm fully aware that it's taken me a full 30 years to finally get to this point. Why? I have no idea and no excuse. Somehow, for some reason, this film never appealed to me before, so I never took the time to actually watch it. Ever. And yet I know virtually everything about it. Throughout the years I've learned virtually everything about it's production, it's release and it's long-lasting status as one of the best fantasy adventure films ever made. Still, I never saw it. I wish I could tell you why or how, but something recently drove me to finally seek this out, 30 years later, and it turned out to be a much harder goal to accomplish than I originally anticipated. I fully expected to find this on DVD for around $5, figuring that this was one of those films that got endless releases and re-issues on DVD for years and years where you would ultimately find it in a bargain bin. Nope. Apparently the 1 DVD release it's received in 30 full years is considered OOP and, to my surprise, highly sought after. So much in fact that the old DVD's typically go for anywhere from $30-$50. Considering the fact that I've never seen it before, I didn't want to spend that kind of money on a film that could potentially not be very good. But I guess that's a gamble with any film, right? Anyway, I'm heading off course here. Let's get to the flick. When a baby is discovered floating by the river, the townspeople of little people elect Willow to protect her and get her back home to safety. Little does Willow know that this baby is special, and the evil Queen Bavmorda will do anything to get her hands on her. With the help of Madmartigan, a swordsman he meets along his journey, Willow realizes his true gifts as a sorcerer. 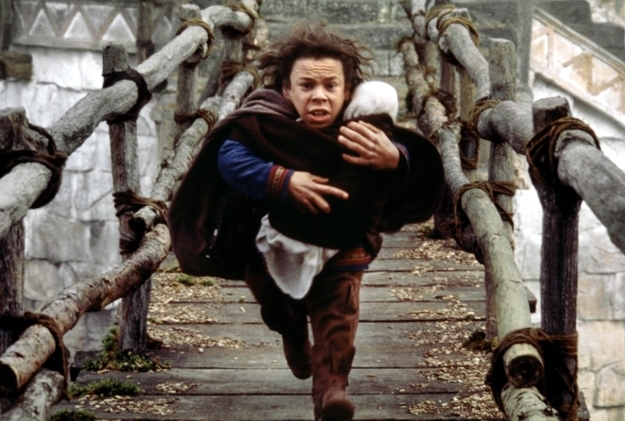 Willow has got to be one of the best Fantasy Adventure Films ever made. Hands-down. The expert craftsmanship on display is nothing short of brilliant, and it surprises me that director Ron Howard clearly has a gift for this genre, but never followed this up with another fantasy epic. And I admit I went in a bit aprehensive. I mean, knowing Howard had only done a few comedies and drama's before this, I wasn't sure if he could handle something this big, with so many effects. But you know, this just proved never to judge a book by it's cover. Howard did a phenomenal job with the visuals, tone and most importantly, the effects, which I'll get into later. Of course, the film wouldn't be nearly as good, entertaining or memorable were it not for the fantastic performances of Warwick Davis and Val Kilmer. Davis, as the titular character, was just absolutely the reason this film works as well as it does. He's so damn endearing, charming, humble and clearly born to play this role. 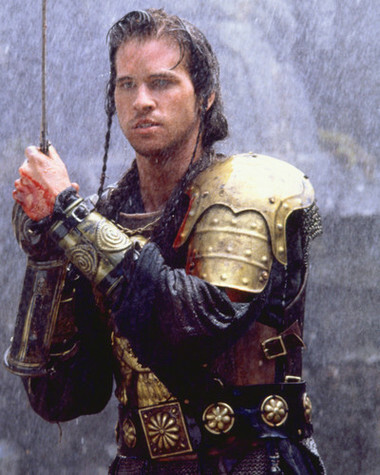 And then there's Val Kilmer as the one and only Madmardigan, who by now has become such an iconic and legendary character. While I've always been a fan of Kilmer (despite his reputation for being difficult), I have to admit he was made for the role of Madmardigan and I couldn't imagine anyone else giving it the life that he was able to breathe into it at that point in his career. In fact, I would consider it my favorite Val Kilmer performance.....just barely edging out his Doc Holiday. The film plays on familiar Sword & Sorcery themes, only it's a thousand times better than most because of the incredible casting, Ron Howard's impeccable direction and highly spirited screenplay by Bob Dolman, in which Willow marks his one and only fantasy screenplay. And honestly, despite all of the other stars aligning at just the right moment in time to create this epic, it all starts with Dolman's script and here he truly delivers the goods in a slightly fresh and thoroughly entertaining way. It's fun, clever, funny, adventurous, thrilling and exciting; all the elements that make these Sword & Sandal epics so good. Effects-wise, Willow is a technical marvel. I half expected to go in here and roll my eyes at the dated effects work, most of which you see in all the trailers, only to be quite fair, they weren't bad....at all. In fact, they were better than I was expecting. Howard knew the importance of "perspective" when utilizing green-screens, because nothing is more aggravating when you see a great green-screen shot destroyed by the fact that they make the background just as clear as the foreground, making it totally unbelievable. But Ron Howard didn't do that here.....thankfully. 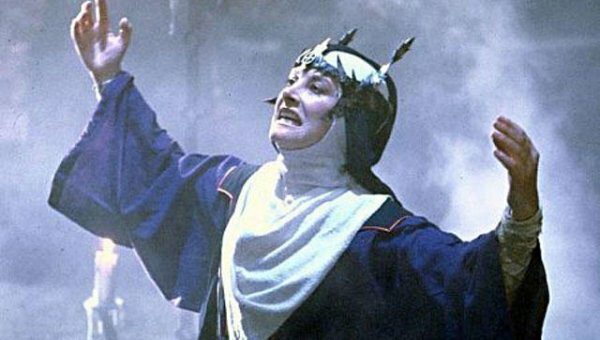 And the results are some of the best implored use of green-screen in a fantasy film I've ever seen, especially the 80's. Yet, despite everything that Willow and it's effects team at ILM get's right, it's the ones that don't work so well that people will most remember. And it's not the effects team to blame, but rather the fact that the technology just hadn't quite reached it's full potential by that point. Still, you can't help but marvel at it all. Even with the dated stop-motion, pre-Terminator 2 morphing and green-screen, they're charmingly kitschy and ever so endearing. 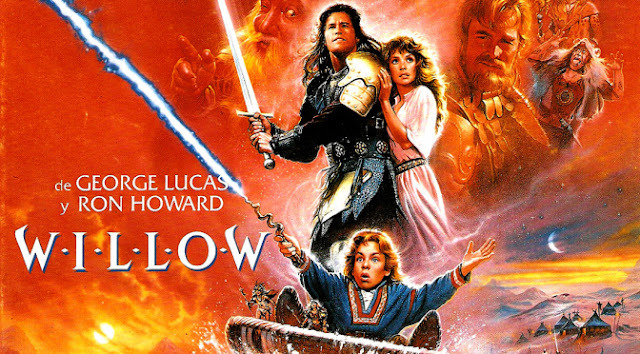 Willow may very well be one of the best fantasy adventure films ever made. I feel foolish for having waited so long to finally see it. It's everything I hoped it would be and so much more. I felt like a kid again, eyes glued to the television screen and a huge grin clear across my face the entire time. In fact, I was sad that it was finally over, because I could have sat there all day immersed in this fantasy world, which is interesting because I've never been much a fan of fantasy to be completely honest. 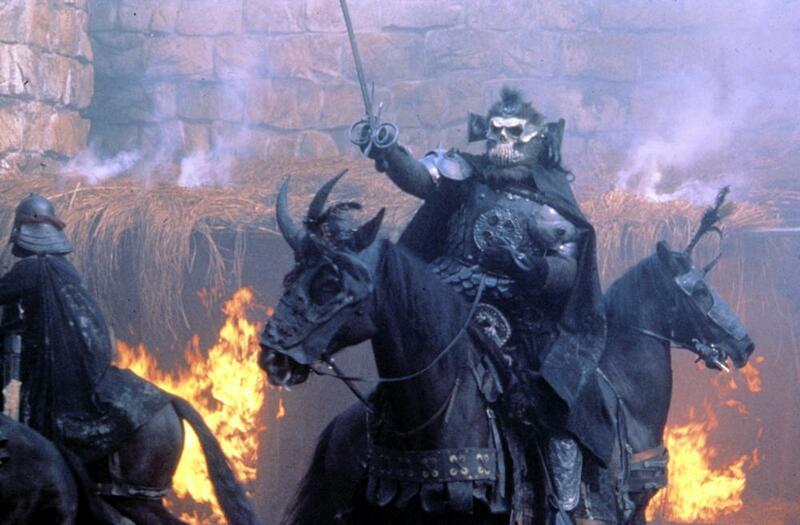 There are a few exceptions though; Krull and Dragonslayer being some fantasy films that I do very much love. I can now add Willow to that very prestigious list. Willow received a Special Edition DVD release in 2001, and a Blu-Ray/DVD Combo HD release in 2013, both of which are Out of Print and both very expensive on the secondhand market. 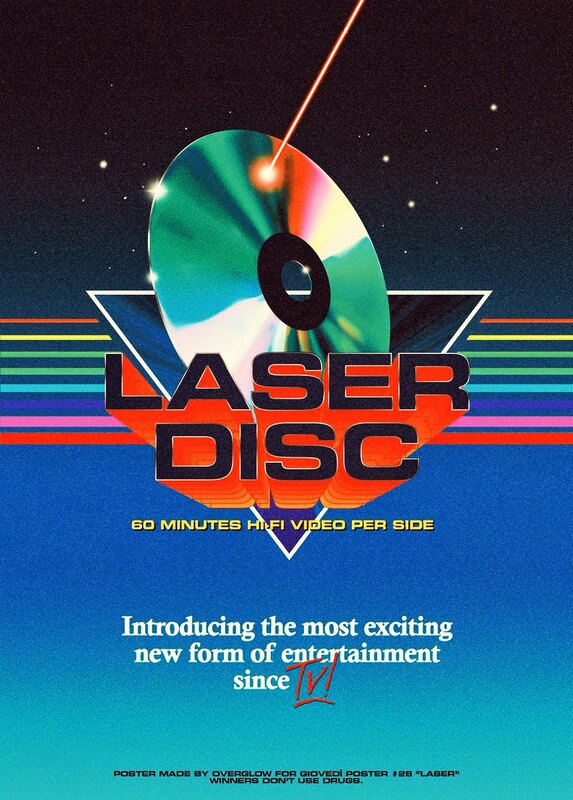 However, if you still have a Laserdisc player, you can pick up the 2-Disc LD for very cheap, and best of all, it comes in widescreen. No word yet on any new or upcoming release but I sure hope they do. I can't be the only one itching to get my hands on an HD transfer. But seeing as George Lucas has been releasing the original trilogy of Star Wars over and over and over again, I can't see why this one wouldn't follow suit? Only time will tell.